Is it possible for unanswered questions to be redirected? What's a good source of information about the company other than the Citi website to find when preparing for interviews? 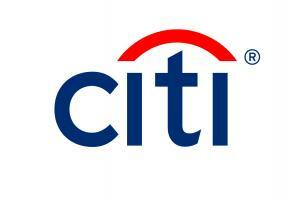 Does Citi still offer Citi Volunteers 5 weeks programme in Africa for 2nd year full-time analysts? I haven't heard back anything for my application since 2018- Can you help me? According to you, what makes Citi different from other major banks ? If I am interested in the consumer team in CB but assigned to other teams for Spring week, can I change team? Is it obligatory to know fin.modelling for the graduate program in IB? especially for MBA candidates? Off-Cycle vs Graduate program: which one suits better for a matter graduating in summer 2020? Are employees typically expected to relocate during their stay with Citi? If I graduate MSc in 2020, can I still apply for a 2020 summer internship programme and start full-time right after? Do London analysts receive training opportunities in the New York office? When will the application process for 2020 graduate program will be opened? When does the program start? What does the Consumer Team do within the investment banking division?